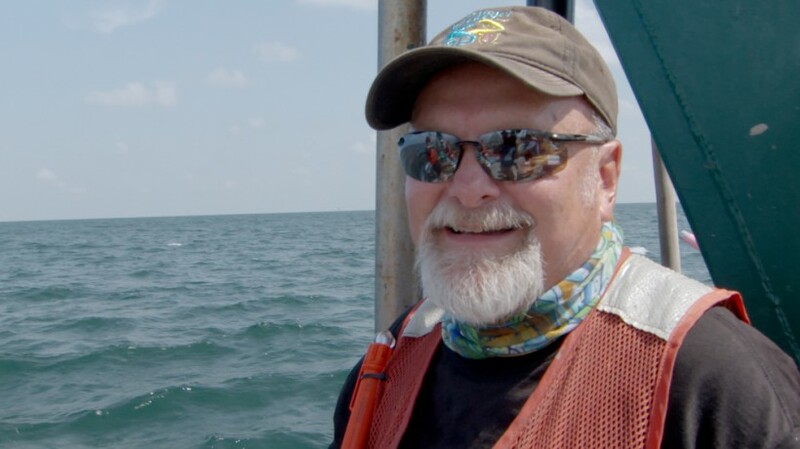 Steve Murawski, University of South Florida/C-IMAGE, uses longline fishing to sample fish communities and track their recovery post-Deepwater Horizon event. Dispatches is a multimedia initiative featuring documentaries, short videos, and podcasts that examine science, innovation, community, and recovery in the Gulf of Mexico in the years after the 2010 Deepwater Horizon Oil Spill. Major funding for Journey to Planet Earth was provided by the Gulf of Mexico Research Initiative – scientists working together to understand and restore the health of marine and coastal ecosystems. Additional funding provided by the Wallace Genetic Foundation and the Farvue Foundation. Photographs courtesy of the Gulf of Mexico Research Initiative. Copyright © Screenscope, Inc. All rights reserved. Site by Mind-Blowing Things.